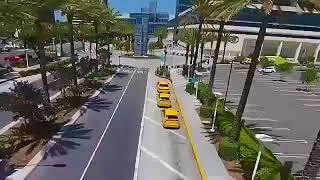 The Hilton Anaheim is the natural choice for visitors to sunny Orange County. new level. So, bring your A-game. 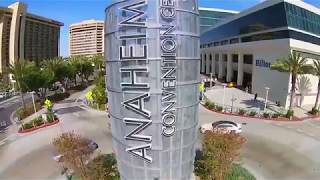 Enjoy Hilton Anaheim's proximity to the DisneylandÂ® Resort, just one mile away, and the Anaheim Convention Center, right across the street. Host meetings and social events in 140,000 sq. ft. of versatile indoor/outdoor meeting space. with innovative facilities, top-knotch service, and world class amenities. All at the heart of Southern California's Orange County. and a community gathering space for dining and entertainment. it's no wonder the Hilton Anaheim is one of the nation's top meeting hotels. we've got something for everyone's dining pleasure. our world-class banquets and catering staff is the best at making every event memorable. Want to take advantage of some of our great Southern California weather? footprint unlike that of any other destination. 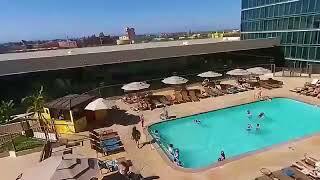 at the Hilton Anaheim can be for your next event. Spend a day at the outdoor pool. 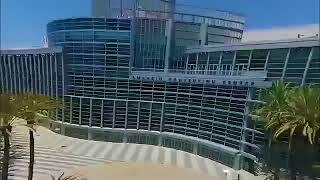 The Hilton Anaheim is a part of the Anaheim Convention Center Campus, connected by a sprawling Grand Plaza. The Hilton Anaheim is located off of Convention Way.